Best chicken enchiladas in Boulder at 100% Mexicano – $9. Oh yes. UPDATE: Sadly, 100% Mexicano has closed… they’ll certainly be missed. What a tender offering. Thank you, Survivor. – This is the best Mexican food I’ve ever had. They even have an item made from pork throat on the menu. And I think we can all agree: it doesn’t get much more authentic than pork throat. – 100 Percent Mexicano is perfect for your next night out in Boulder. Between 5-6 p.m., drive to the strip mall where the DMV is in Boulder. Yes, that one. Yes, it’s in a strip mall at 28th & Iris. Are you still with me? Good. Park your car in the FREE parking lot (extremely rare in Boulder). Head toward the DMV, then happily stroll past their doors into 100 Percent Mexicano. Order a margarita or one of their authentic sippers, such as the Jamaican Flower Juice. 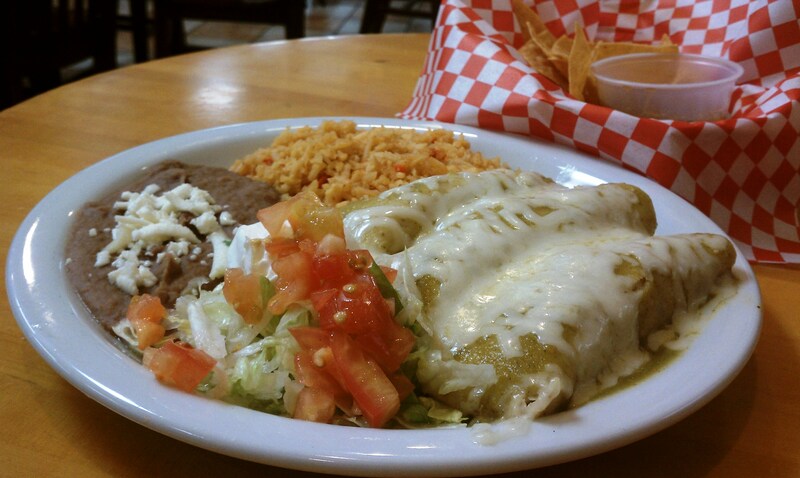 Place your food order – my favorite is the chicken enchiladas with green sauce. Remove your jaw from the floor when you get the bill because it’s so cheap. Eat the free chips and awesome salsa they serve you. Prepare to eat the best meal you’ve had in ages. Savor your meal, then head to downtown Boulder after 7 p.m. By this point, you’re already fed, you’re not spending way too much money or standing in line for mediocre Rio food, you just had the best Mexican food in Boulder, AND parking is free because it’s after 7:00. Go do whatever you want now. To be clear, 100 Percent Mexicano is several orders of magnitude better than Juanita’s. True, it doesn’t have the world’s most perfect atmosphere (read: strip mall), but it more than makes up for dim lighting and cheesy, sweaty drunk college kids with excellent food, smiling staff, free parking, a quaint outdoor patio, and a heap of value for the money. 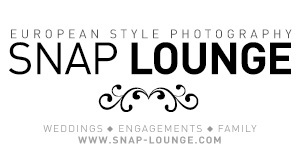 This place is a no-brainer, so enjoy! 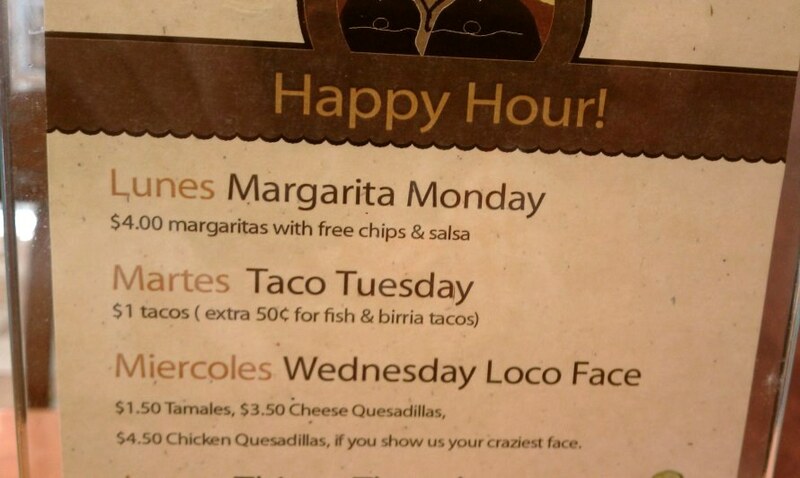 Also, a note about 100%’s happy hour… check out Wednesday. This is some low-maintenance activity to get discounted quesadillas. Make a crazy face for a cheap quesadilla? Sí!